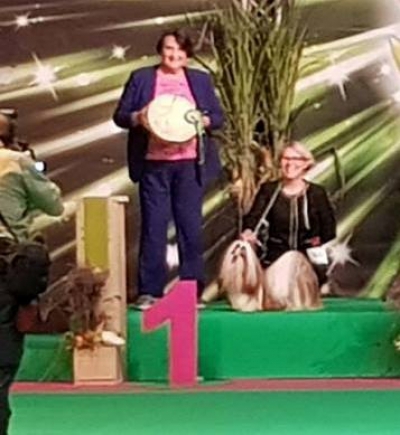 MOJITO Ad Acte - WORLD WINNER !!! 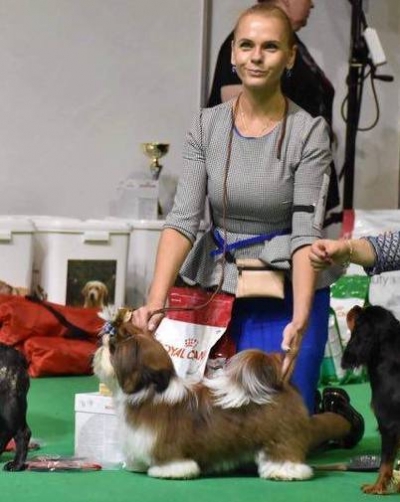 TAYRA Ad Acte (first time in the ring) got VP 1, Best Minor Puppy in Breed. 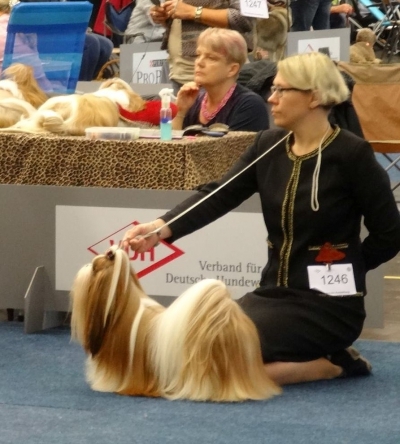 In the main ring she was selected for the final six. 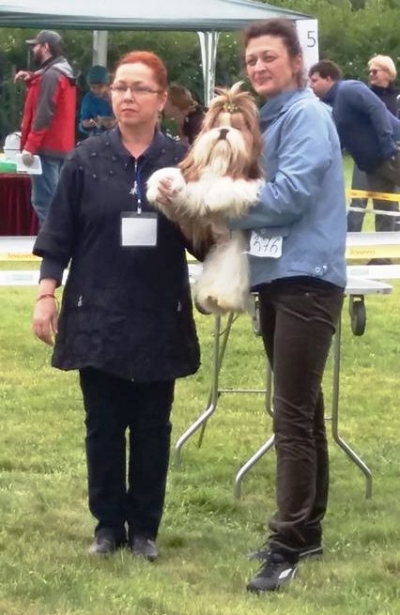 Jagoda Ad Acte got second place in puppy class. 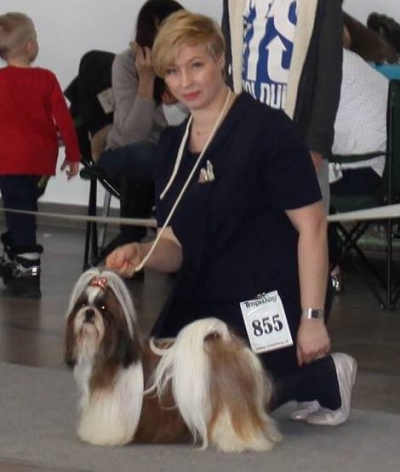 KALINA Ad Acte (6 months old) on her first show got 2/6 place in puppy class. 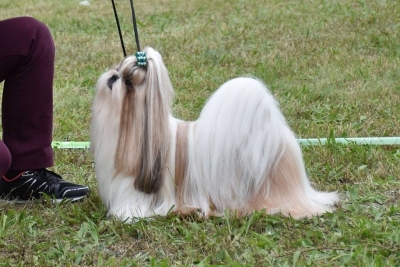 TOSCA Ad Acte - V1 CAC, Herbstsiegerin . 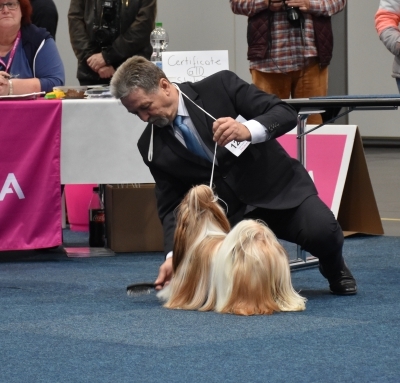 Judges: Irina Azen,Hans Almgren & Panos Demetriou. 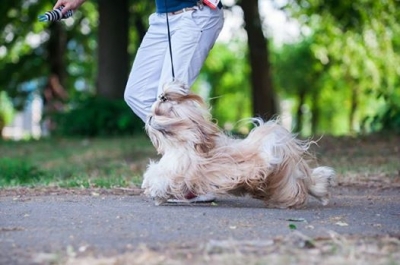 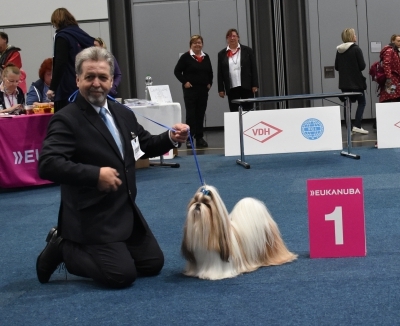 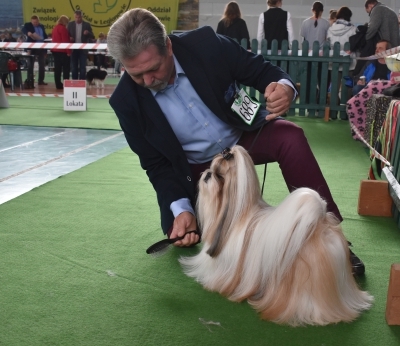 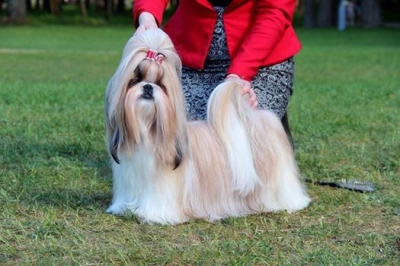 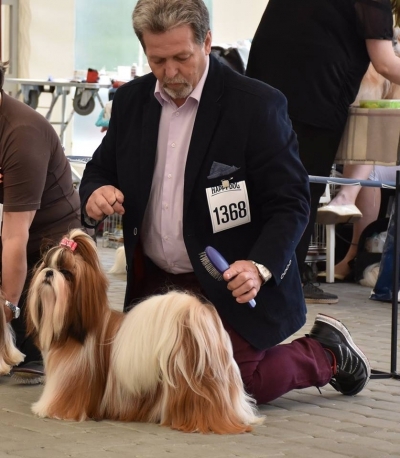 National Dog Show within EDS in Kiev - judge Dusan Paunovic. 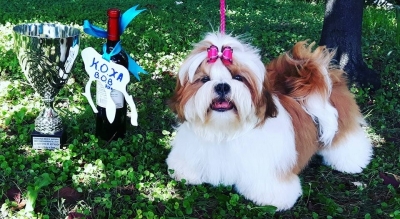 TOKAJ Ad Acte got CAC and BOS. 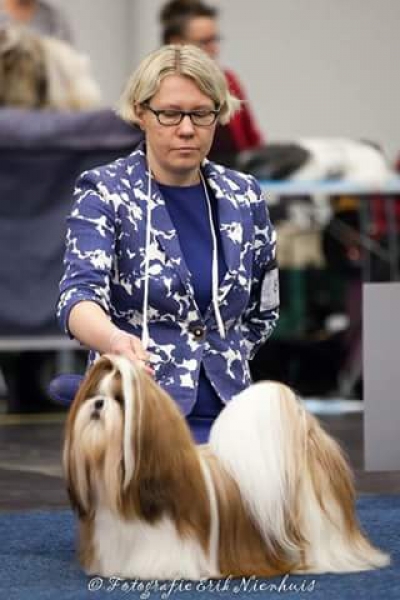 12.08.2017 judge - Irene Hess ( D ). 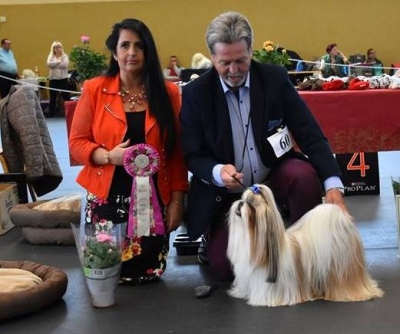 Salvatore Ad Acte - Open Class - excellent 1, CAC and BOS ! 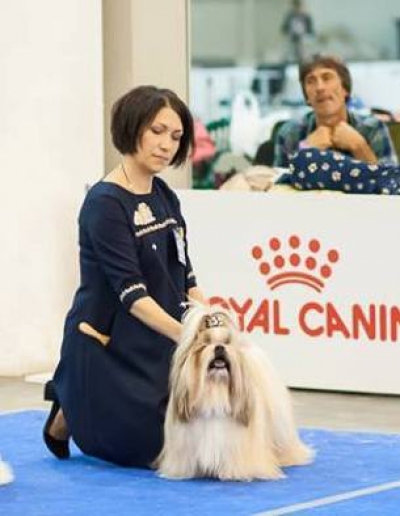 Salvatore Ad Acte in open class- excellent1, CAC and CACIB . 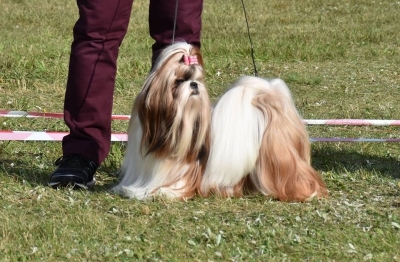 Our 17 months old girl TIRAMISU Ad Acte has competed in intermediate class. 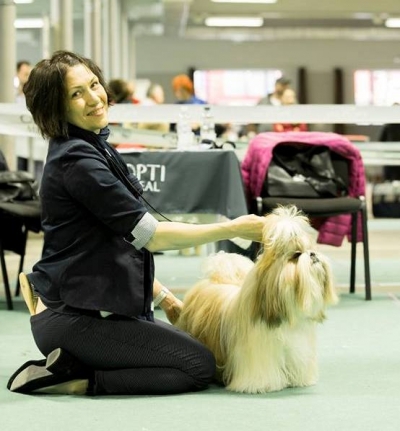 On Friday judge Viera Vitkova from Slovakia awarded Tiramisu CAC, CACIB and BOB The second day of the show was also successful for us. 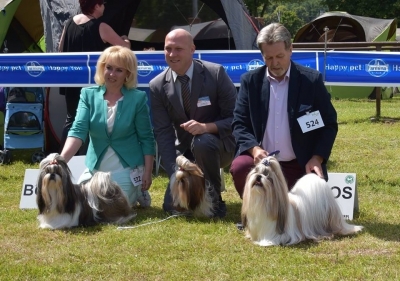 Judge JOSE MIGUEL DOVAL SANCHEZ from Spain also awarded TIRAMISU CAC, CACIB and BOB. 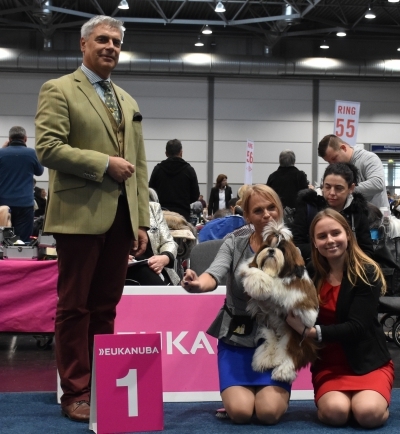 Tiramisu has become Champion of Lithuania. 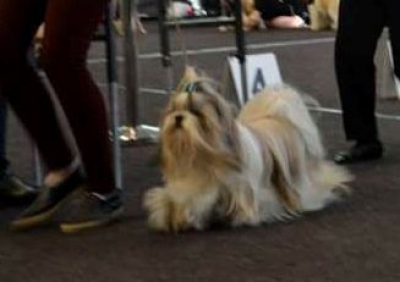 Tosca Ad Acte finished d her Junior Champion with a Best of Breed ! 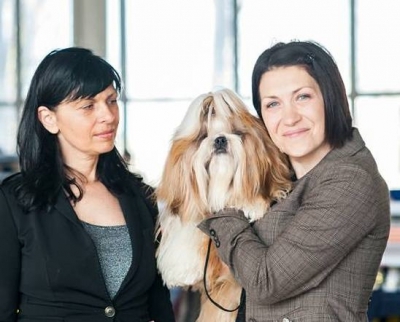 We are so proud of TOKAJ Ad Acte and his owner Beata Kozłowska. 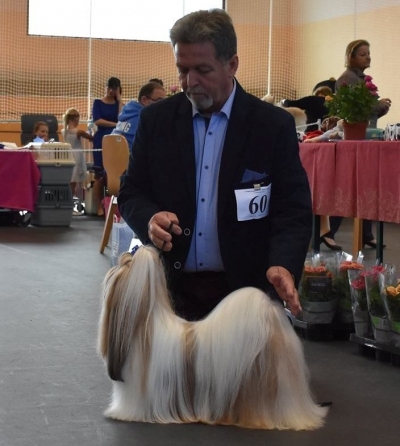 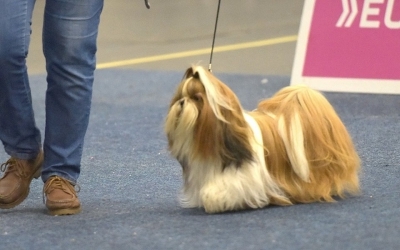 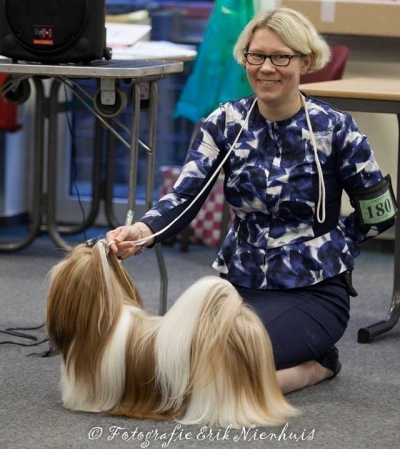 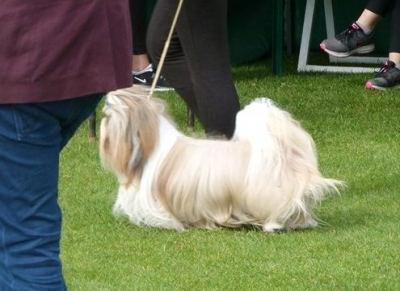 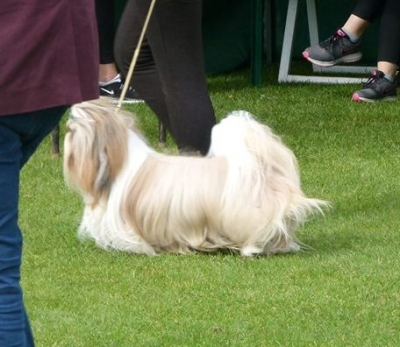 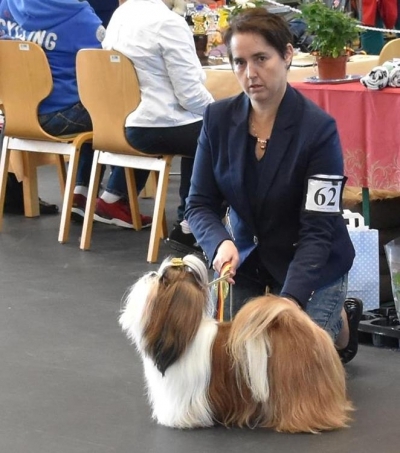 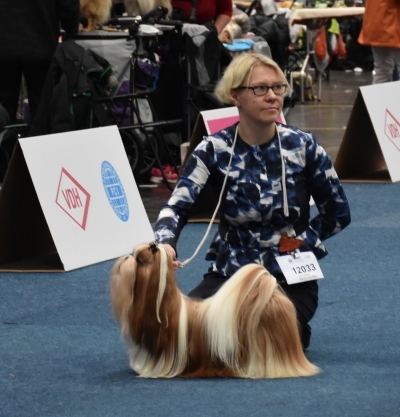 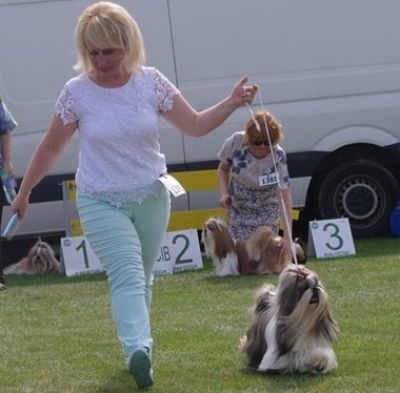 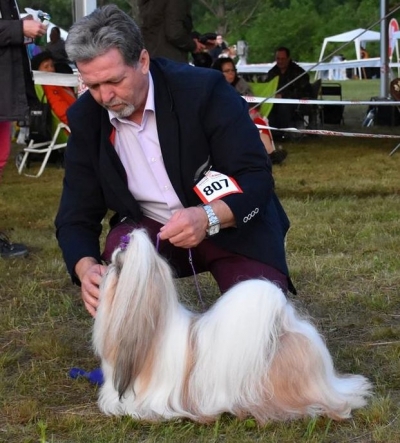 International Dog Show in Oss Netherlands. 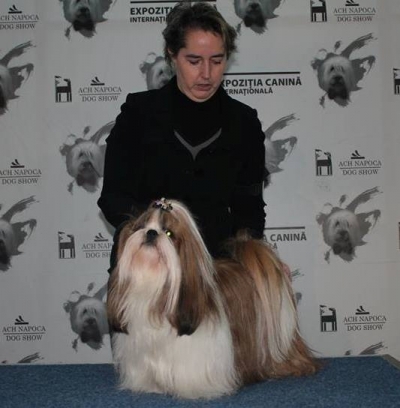 27th interchampion from Ad Acte kennel !!! 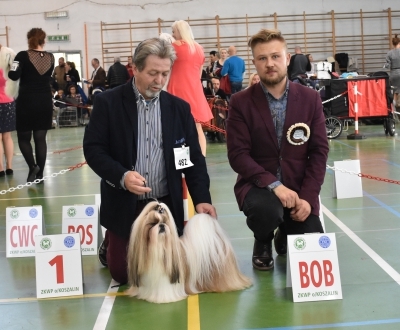 Tokaj Ad Acte in champion class won CAC, CACIB and finished his International championship. 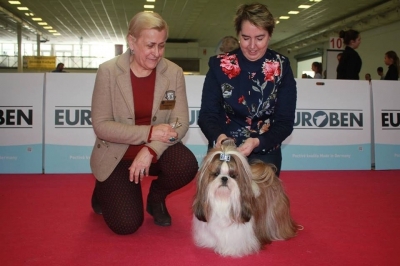 Mojito Ad Acte got 2 x CAC, 2 x CACIB and 2 x BOB (judges: Denis Kuzelj and Miodrag Vretenicic) and Res.Cac - judge Zsuzsanna Balogh. 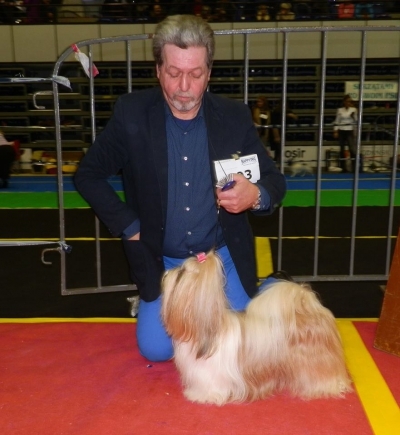 JANTAR GERAINCA Ad Acte in junior class got CAJC, BOB junior and BOB. 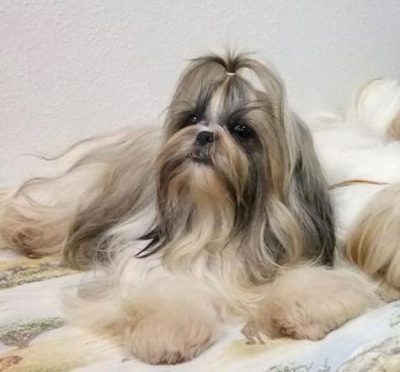 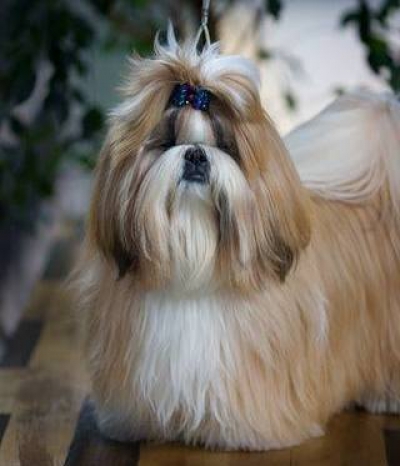 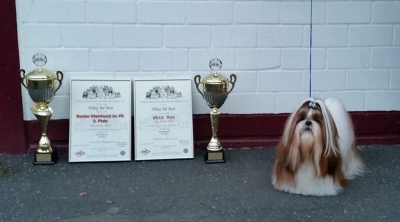 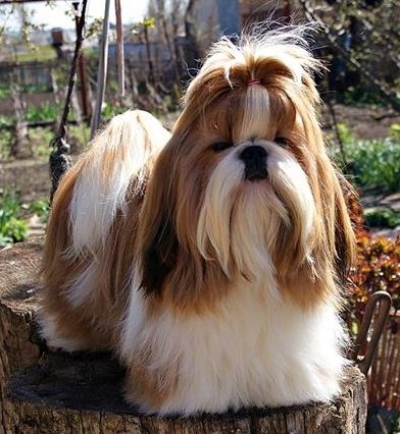 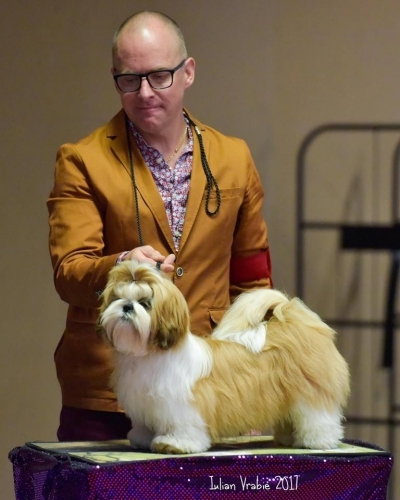 SOKRATES Ad Acte "Sony" (Shih-Bi-Chow's High Flashing Point x Perspektywa Ad Acte) got CAC, Best Dog and BOS. 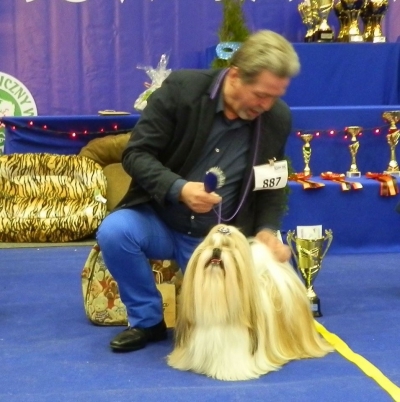 TAROT AD ACTE: 2 x excellent, 2x Best Male, 2x HPJ, BOS, BOB! 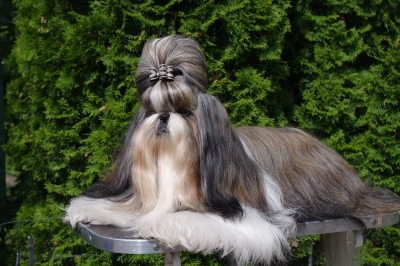 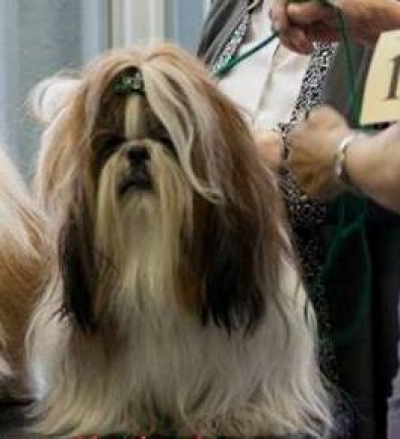 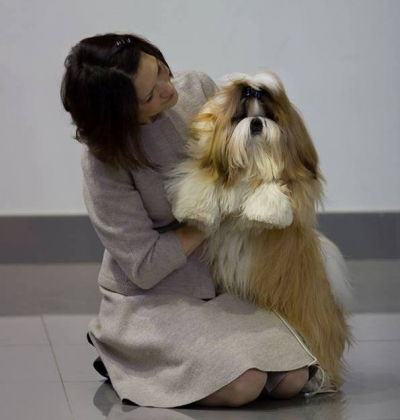 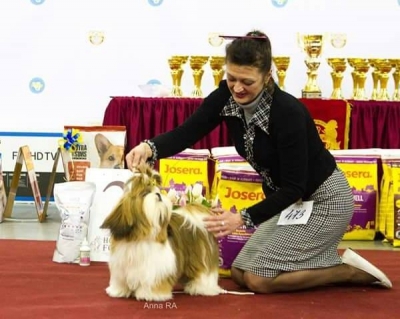 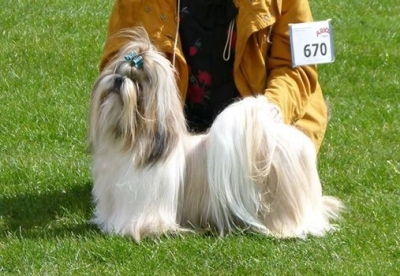 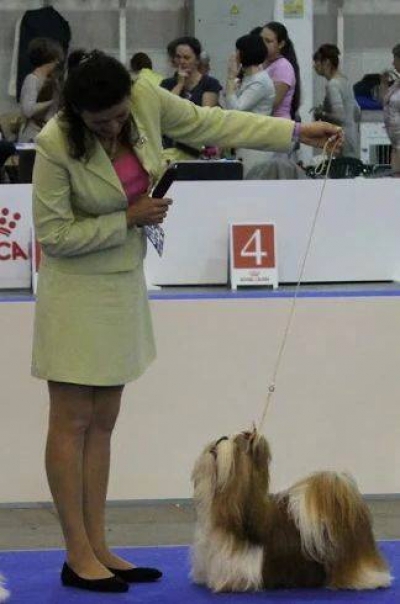 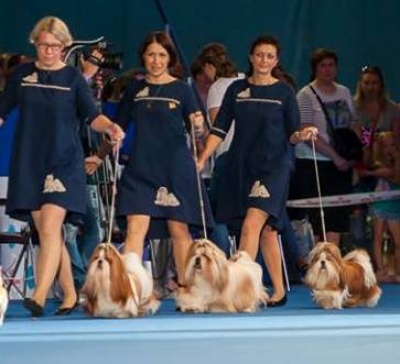 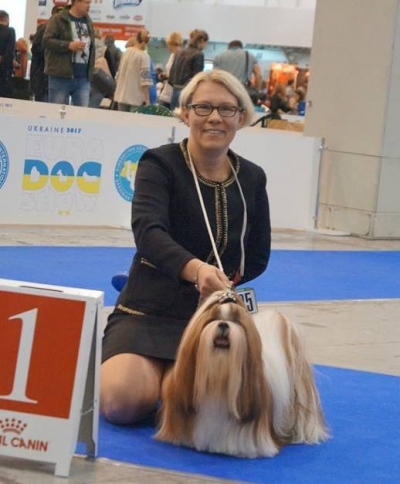 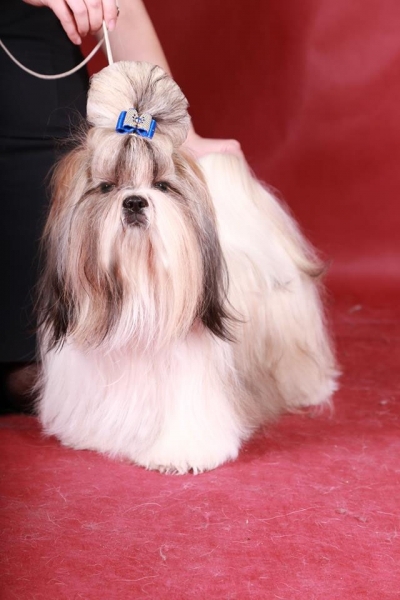 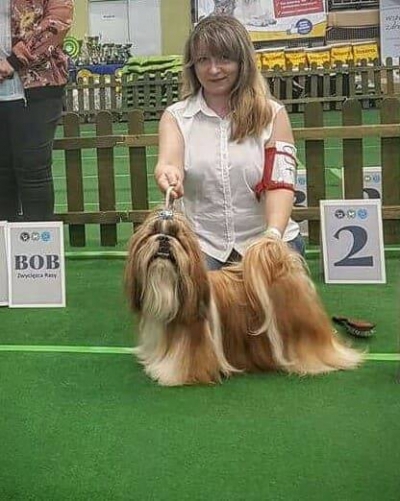 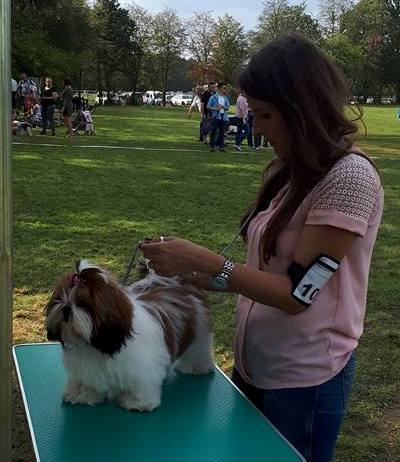 DogShow "Leader", Kiev, Ukraine judge : Dragana Bujisic Vasiljevic (Serbia). 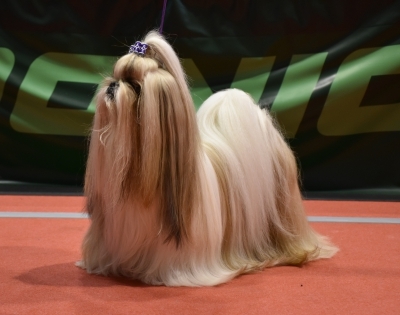 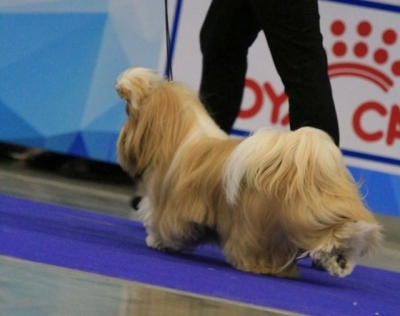 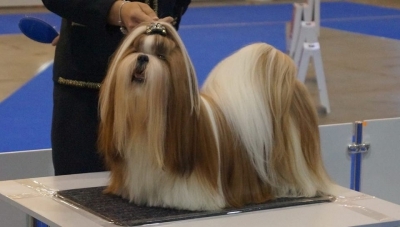 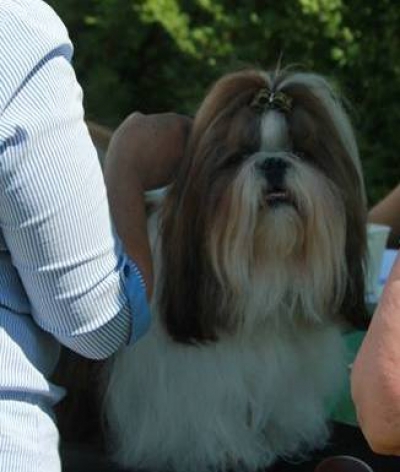 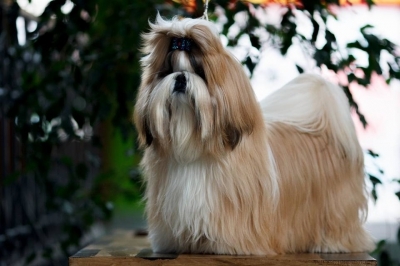 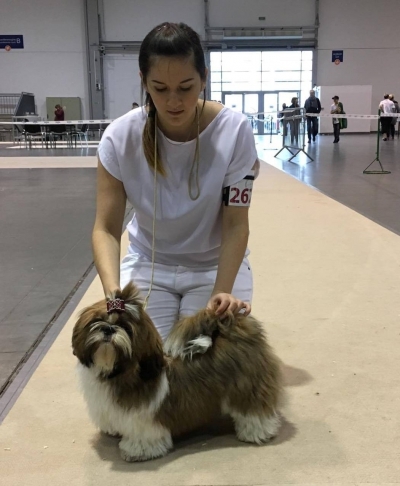 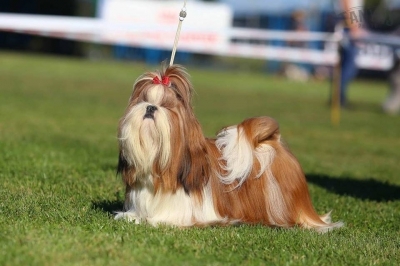 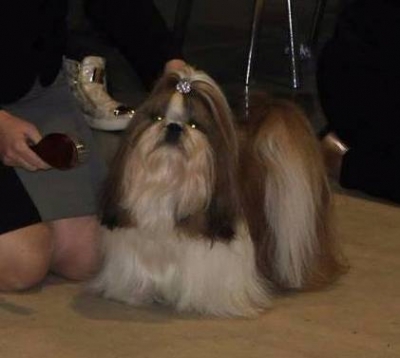 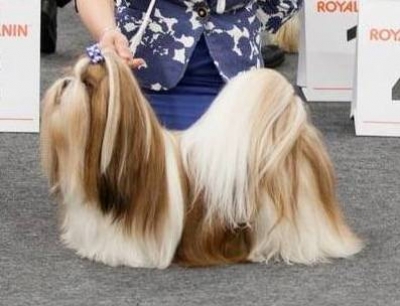 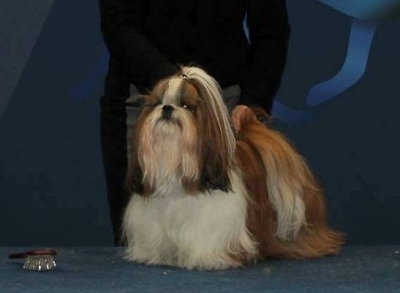 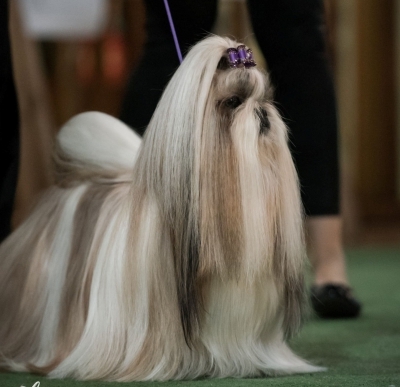 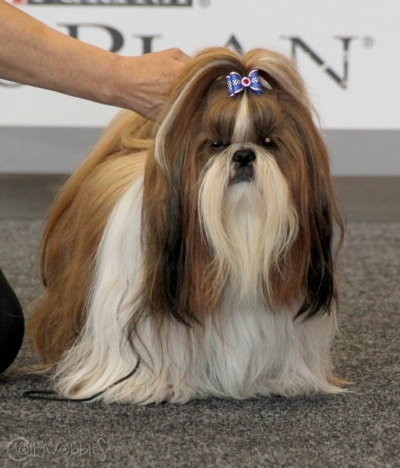 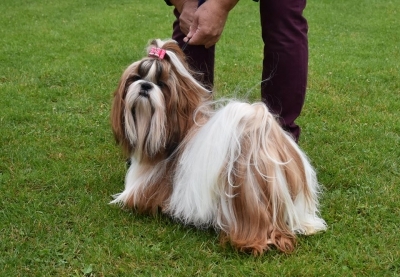 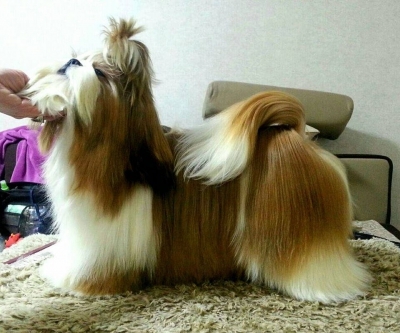 SOKRATES Ad Acte (Perspektywa Ad Acte x Shih-Bi-Chow's High Flashing Point ) won CAC and Res.CACIB. 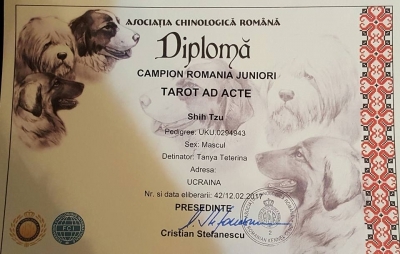 TAROT Ad Acte in junior class got 2 x CAJC, 2 x BOB Junior and BOB. 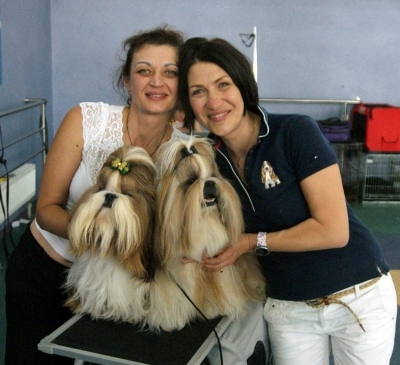 National Dog Shows, Moscow, Russia. 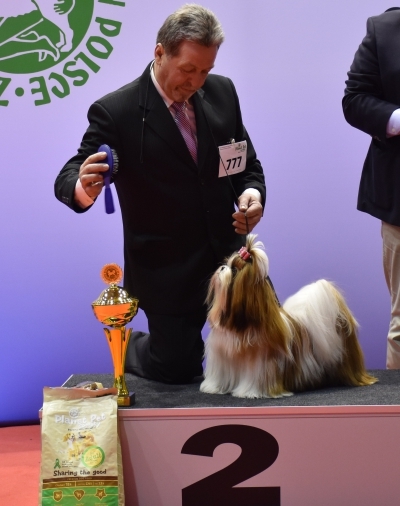 TAROT Ad Acte (EuJW'14 - Europasieger'16 -Vice EuW'16 - C.I.B. 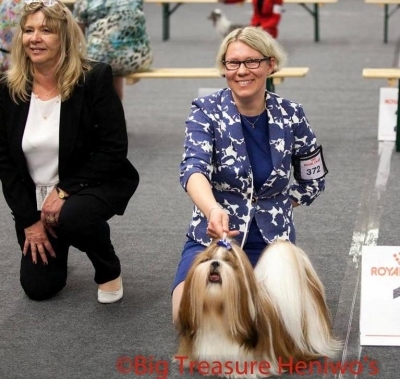 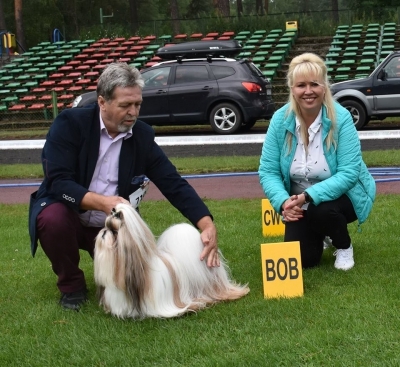 -Multi.Ch MOJITO Ad Acte x C.I.B.Multi .Ch Rewolta Ad Acte) won JCAC, BOB Junior and BIS Junior II ! 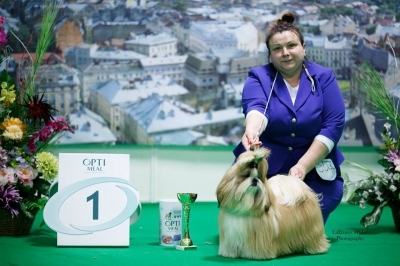 He finshed his Junior championship of Romania !!! 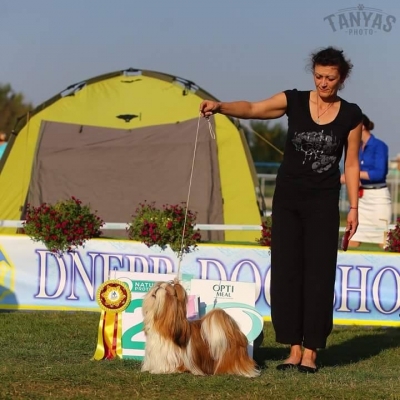 Roszponka Ad Acte got CAC and finished her championship of Poland (owner: Katarzyna Strzyzewska-Jarosz ).